Jordan and Turkey on Tuesday discussed prospects for sealing a new free trade agreement (FTA) following the Kingdom’s suspension of the previous agreement in March this year. This came during a high-level meeting Minister of Foreign and Expatriates Affairs, Aymand Safadi, and Minister of Industry, Trade and Supply, Tariq Hamouri, held with their Turkish counterparts, Mouloud Jawish Oglu and Ruhsar Pekcan. 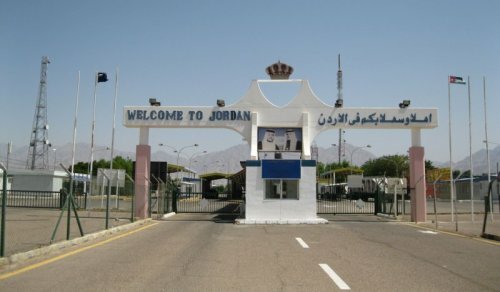 In this context, Hamouri said Jordan took the decision of suspending the agreement, signed in 2009, because it did not achieve the hoped-for goals, adding that technical teams from both countries will hold more and time-framed meetings to arrive at specific results over the agreement in a manner that serves both countries interests. Turkey’s Minister of Trade, Ruhsar Pekcan, said a task force was set up so that Jordan can maximize its benefit from the FTA, assuring that her country will step up its investments in Jordan and will create a climate that enables businessmen from the two countries to invest and launch joint ventures. Separately, Minister of Foreign and Expatriates Affairs, Aymand Safadi and his Turkish counterpart Mouloud Jawish Oglu held wide-ranging talks focusing on bilateral ties and a host of Middle East issues, particularly peacemaking efforts, Syria and the UNRWA’s financial crisis. In a press conference following the meeting, Safadi said regional instability and the crisis in Syria are leaving a toll on the region’s countries and peoples, emphasizing that Jordan and Turkey eye-to-eye on the need to find political solutions to the region’s problems. "The Syrian crisis has been prolonged and we must work to achieve a political solution that preserves the unity and cohesion of Syria, a solution that stops the destruction and protects the Syrian people. Such solution must put the interests of the Syrian people ahead of any other interests and away from any calculations, agendas or conflicts," Safadi said. He added that Jordan encourages the voluntary return of refugees to their homeland whenever they wish to do so and where they will play an important role in the reconstruction of Syria. The foreign minister stressed that the Palestinian issue remains Jordan’s core issue and that the establishment of an independent Palestinian state with East Jerusalem as its capital on pre-June 4, 1967 lines based on the two-state solution is a Jordanian priority. He added: "We want peace, a comprehensive and lasting peace, and for that, any solution must do justice to the Palestinian people, end the occupation and lead to the establishment of an independent Palestinian state." Safadi underscored the strong, systematic and constructive cooperation between the Kingdom and Turkey on Jerusalem. Regarding the United Nations Relief and Works Agency for Palestine Refugees in the Near East (UNRWA), Safadi pointed out that the agency is experiencing a severe financial crisis and that its fiscal deficit must be offset because preserving the UN body means preserving the right of five million Palestinian refugees to live in dignity. "In order to do so, we, in Jordan, have initiated early on a major effort to mobilize international support for the UNRWA so it can continue playing its role according to its UN mandate. The UNRWA is linked to the refugee issue, one of the final status issues that must be resolved in accordance with international legitimacy resolutions, including Resolution No. 194 and the Arab Peace Initiative, and guaranteeing the refugees’ right to return and compensation," the minister asserted. The two sides also discussed bilateral relations. In this context, Safadi said: "We are working to find wider horizons and the free trade agreement that we want must reflect positively on both countries." The Turkish foreign minister praised Jordan’s role towards the Palestinian cause and Jerusalem, expressing Turkey’s support for all efforts exerted by the Kingdom in this regard. He stressed that his country is trying to bridge the gap that resulted from the United States’ decision to stop its financial contribution to the UNRWA.